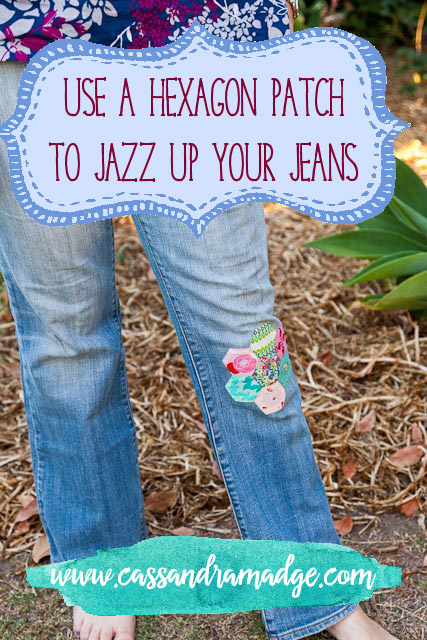 Those special jeans that you’ve had for years…. you know, the ones that are broken in just right? Slipping them on feels like a conversation with an old friend, comfortable, reassuring. Then, disaster strikes and there is an enormous hole in one knee. Of course, you could ignore it. You could even put a matching hole in the other knee, as torn jeans are on trend right now. But you’re not one to follow the trends. 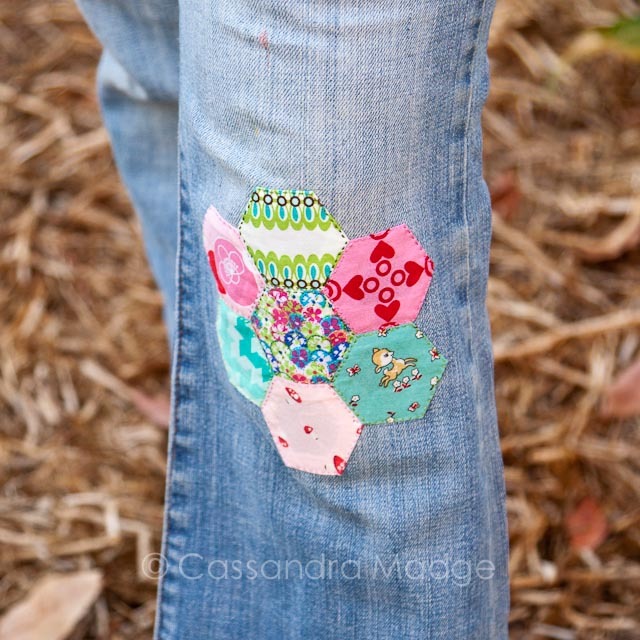 Your jeans need to be beautiful, unique – and I have just the answer for you! 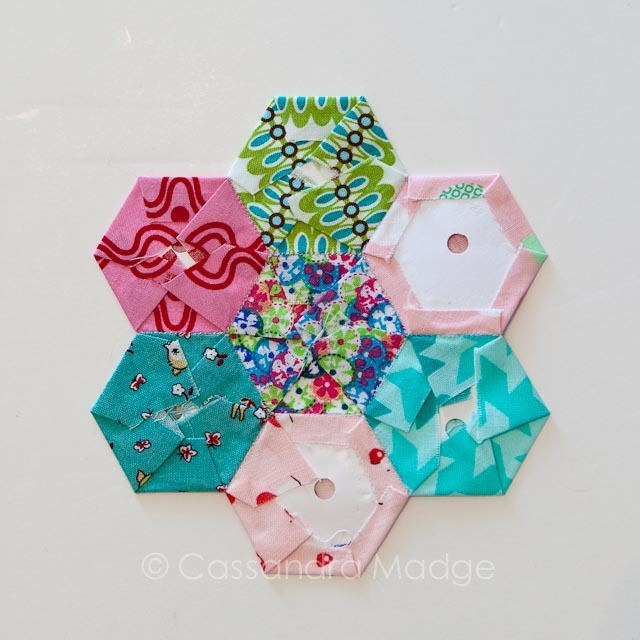 English Paper Piecing to the rescue – namely a beautiful hexagon flower. It’s quick and easy to stitch up and put on – taking me less than an afternoon to finish and now my old friends are back in the wardrobe and most certainly one of a kind! 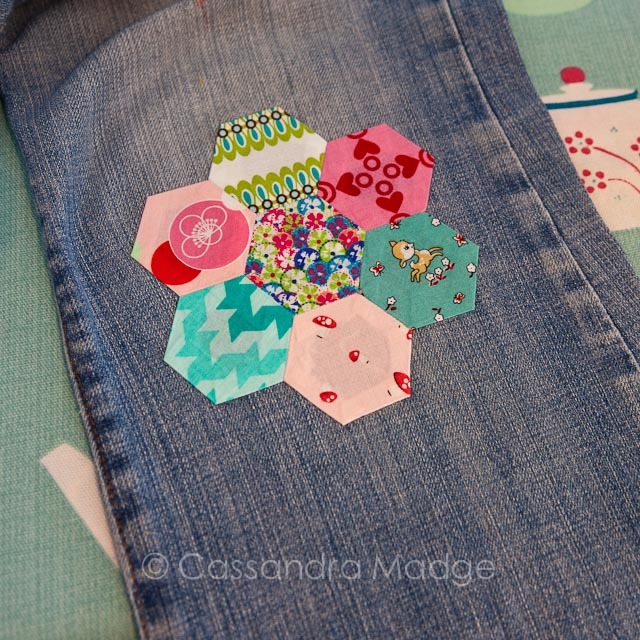 Here’s where we started – with one sorry looking jeans leg and one hexagon flower. 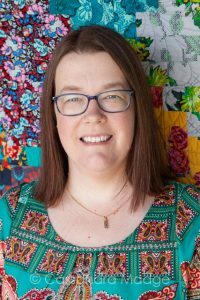 I have written about English Paper Piecing before, with links to the BEST teacher I’ve found on the web. 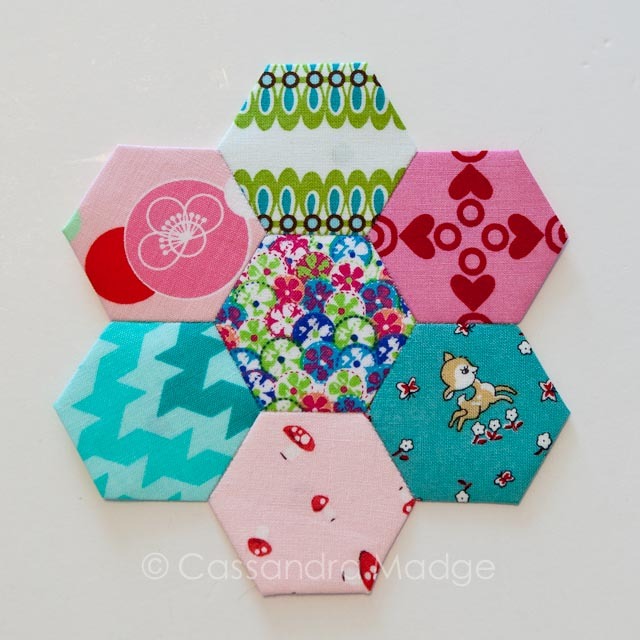 I prefer to glue baste and I used the Sewline Water Soluble Glue Pen to baste these hexagons. For reference these hexagons are 1″ in size – meaning that each of the outer 6 edges of each one measures one inch. 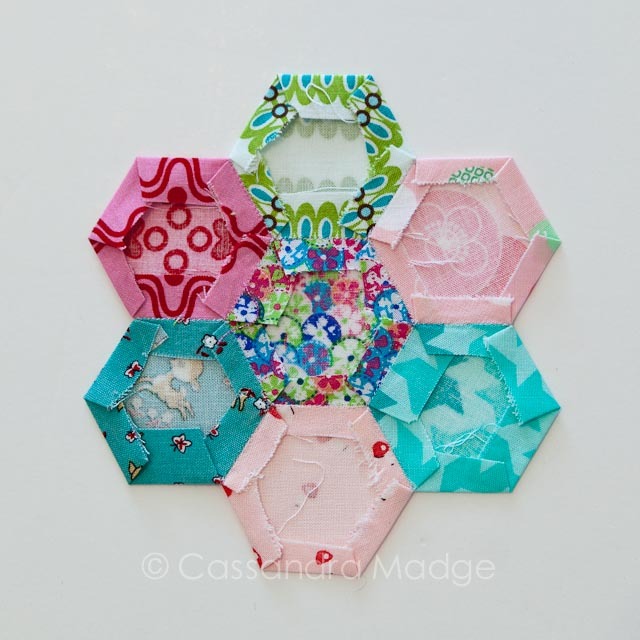 If you are making a whole quilt of this size, as I am doing, the most economical way is to use a Sizzix Bigz Die Hexagons 1-inch Sides to cut your own papers out of light cardstock, which you can reuse multiple times even when glue basting. 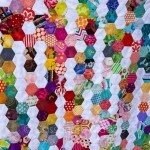 I rarely bother to trim my fabric hexagons down to shape before I baste or stitch them together. My experience is that when I pull the papers out afterwards the edges are much more prone to fraying if they are trimmed down, such as the upper right one above. 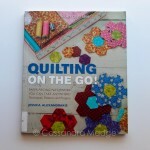 It is easier to take the papers out if the fabric is oversized, then if necessary I can trim the fabric away. Give it a good hot press and even a spray of starch to help hold the shape secure before you start to remove the papers. I used Mary Ellen’s Best Press Clear Starch Alternative 16.9 Ounces-Scent Free , it’s my go-to for lovely flat blocks and seams that stay put. 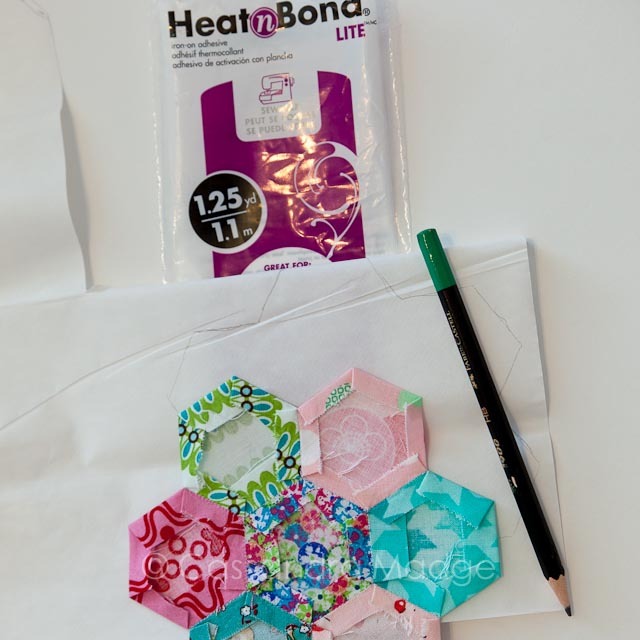 Before you take the papers out, you should trace your hexagon flower onto the paper side of your double sided fusible. 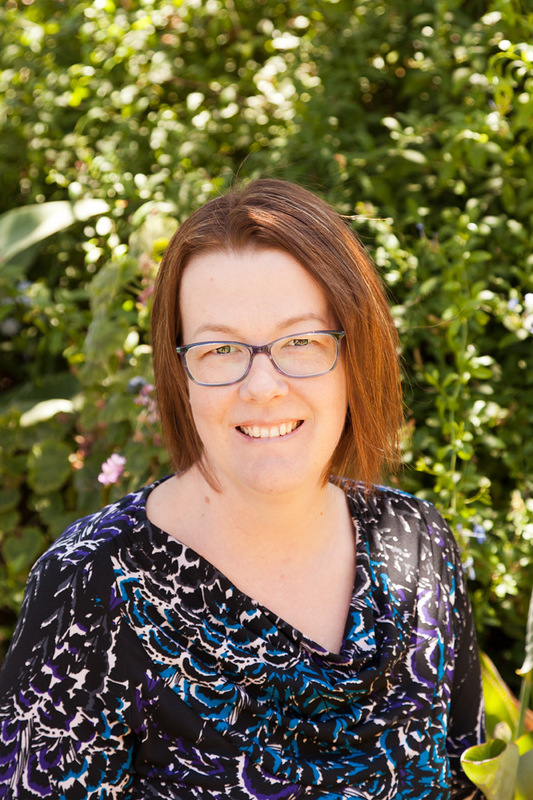 I waited until after I had taken them out and it was much harder to get a smooth outline. Here is the back again with the papers removed and the excess fabric trimmed back. Here you can see my slightly wonky lines from tracing my flower after I took the papers out. I definitely should have done it before. Trim just inside the line you traced, so the adhesive doesn’t hang over the edge and glue to your ironing board or your iron. Please note there are two types of Heat n Bond. Thermoweb Heat’n Bond Lite Iron-on Adhesive is the one I used, pictured above. This is not a strong fusible and is not recommended unless you are going to reinforce it with stitching over your applique. Thermoweb Heat’n Bond Ultra Hold Iron-On Adhesive is the product to use if you can’t, or choose not to, stitch around the edges. Always read the manufacturer’s instructions for the best settings etc to use. Here you can see that my fusible shape is just barely smaller than my flower. Make sure to check and trim any overhang off unless you want to spend 15 minutes cleaning your iron. 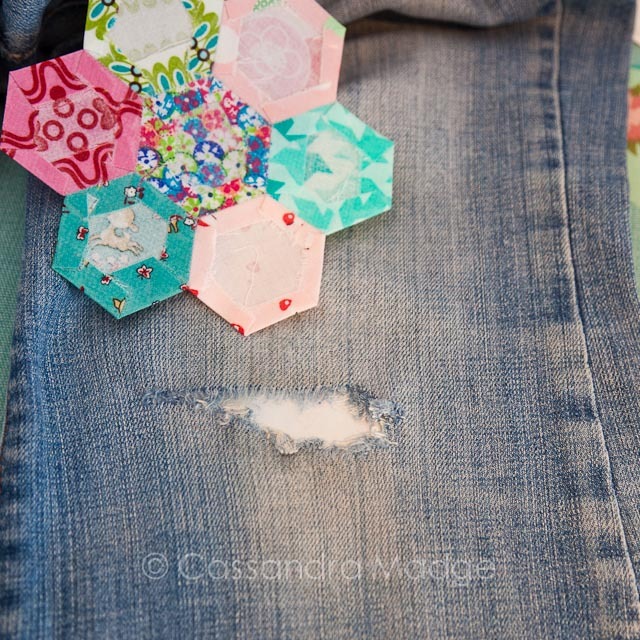 After you have fused the first side to your flower, it’s time to attach it to your jeans! Make sure that you give the area of clothing you are using a good press. 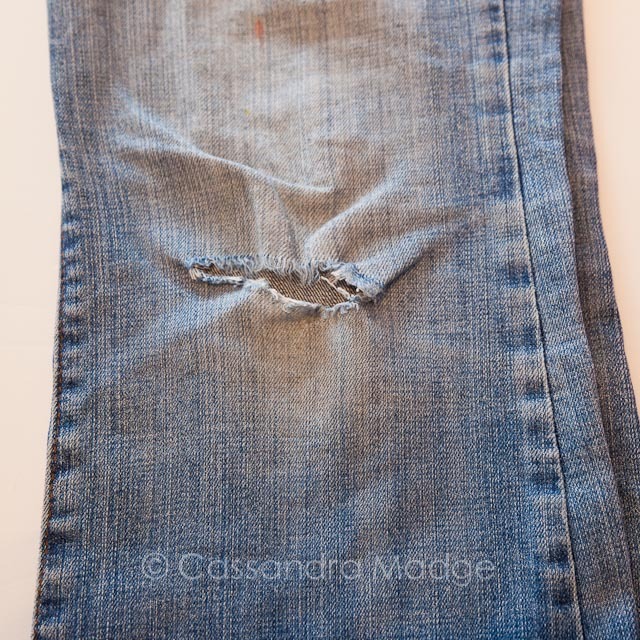 I had to use some starch to take the bagginess out of my jeans – the knees were distorted after 10 years of wear. Trim back any loose threads, and make sure you put something inside the hole, to stop you from fusing straight onto the inside of the back of the knee. I slipped the paper I had just peeled off inside my jeans leg to protect the fabric behind the hole. 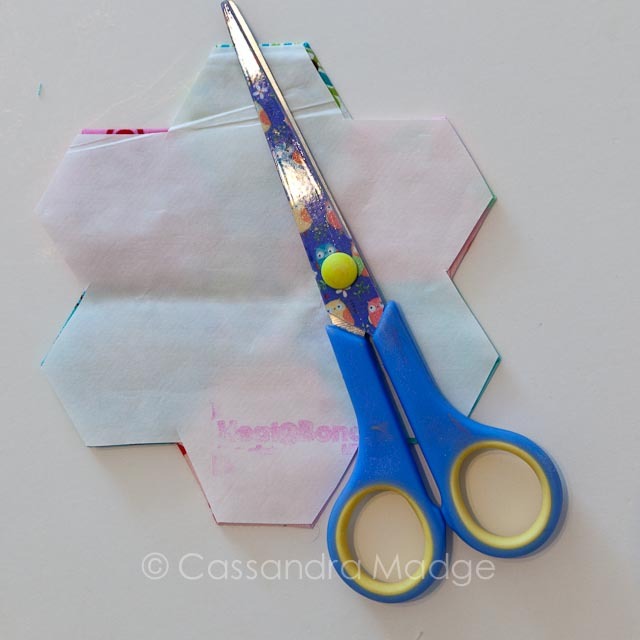 Carefully position your hexagons, noting if you have a directional design which way is up, and ensuring you cover the edges of the hole completely. Press, again following the manufacturer’s directions regarding iron temperature and time. If you used the Lite fusible as I did, you will need to add some stitching, decorative or otherwise to secure the edges and corners of your flower. I used two colours of variegated DMC cotton to outline alternating hexagons with a simple running stitch. Using two strands gave a nice definition without being too bulky. You will need to use a strong and sharp needle to penetrate the multiple layers of seam allowance and the thick denim. 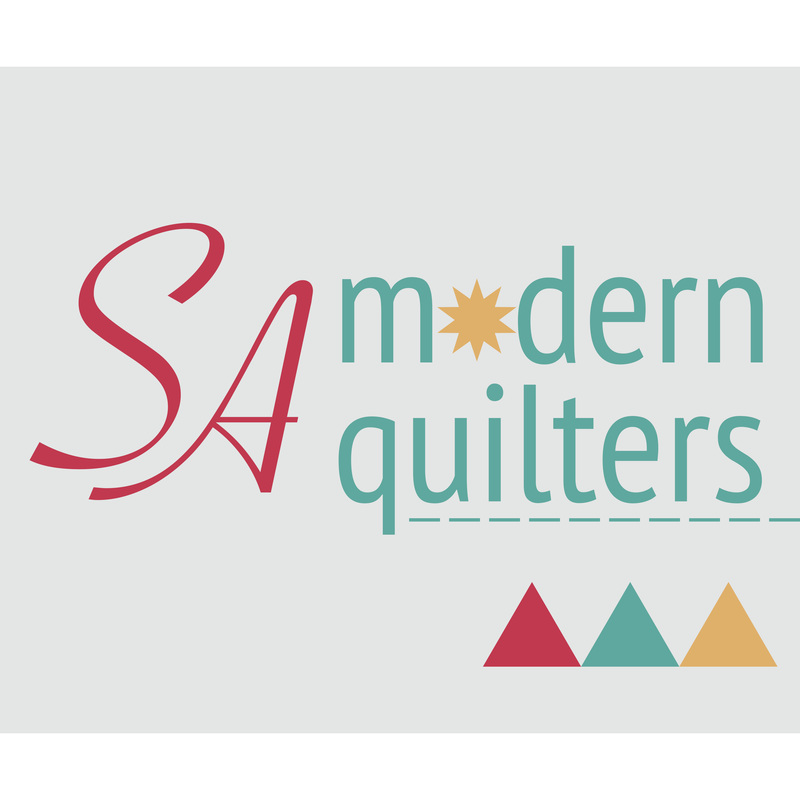 If you prefer, you could use a blanket stitch around the outside edge. Because the central hexagon covered the bulk of the hole, for extra support I stitched three lines from point to point across this hexagon, all crossing at the middle. This should hopefully reinforce the weak edges underneath the patch. This is as much about decoration as protecting the applique, so make it unique! Nothing left to do but to slip these beauties on and show them off to everyone. 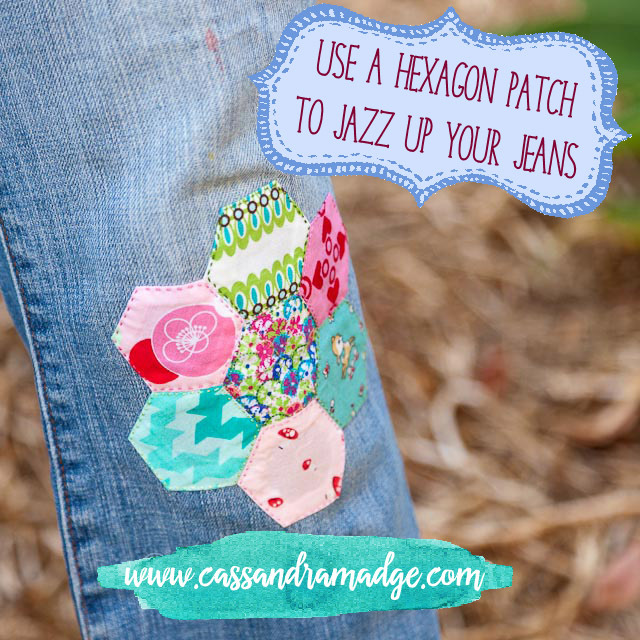 Of course, you don’t even have to wait for a hole to appear – I love these so much that I don’t think any pair of jeans is safe from my needle! So tell me, what shape will you use to save your favourite jeans? 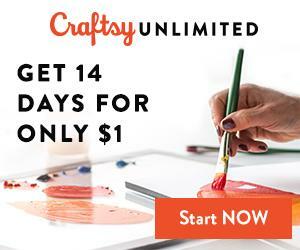 **Disclaimer** This post contains affiliate links, which enables me to keep providing you with awesome blog content. Thanks for your support! Of course, I would never recommend a product or store that I wouldn’t use myself. All my opinions are my own.